2.4 Ghz wireless connectivity that delivers fast and reliable connection with mini USB 2.0 wireless receiver. 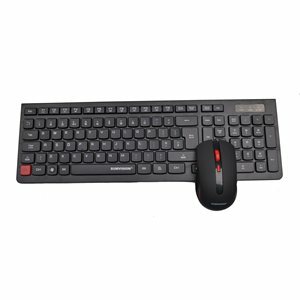 Slimline low profile keys provides a sleek and slim design that provides portability and can easily fit into your desk. Quickly access internet,email or control your music with the press of one button. No need for drivers! just plug in and play.